Busy doing stuff. 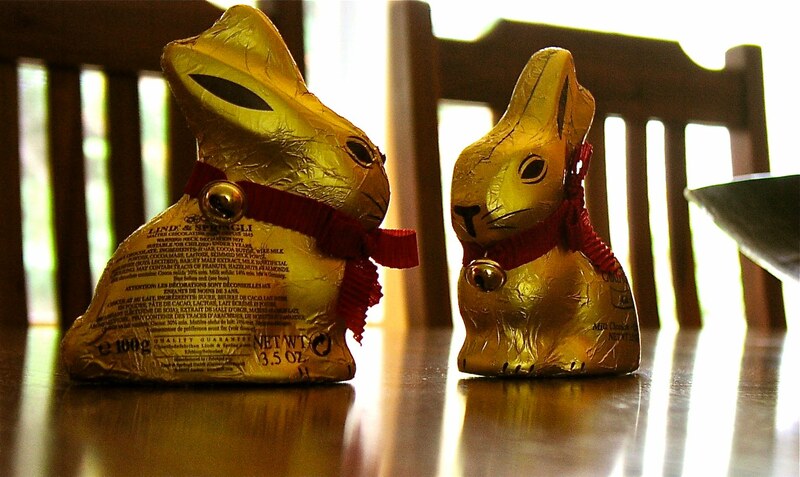 But I thought you might like a photo of some of my Easter chocolate. Yum yum yum. There's nowhere else to start *except* the ears! And then there's all the chocolate dust that you have to scoop out of the bottom of them just before you've finished….